Freshman defender Jan-Erik Leinhos handles the ball across midfield in a Marshall home match earlier this season. 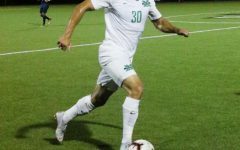 Marshall University men’s soccer upset defending Conference USA tournament champion Old Dominion 4-2 Saturday at Hoops Family Field. 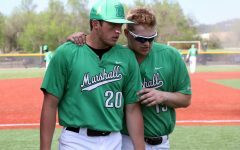 With the win, Marshall improved its win-loss record to 3-4-2 (1-1-1 C-USA), while ODU moved to 5-3-1 (3-1 C-USA). After a scoreless 17 minutes in the first half, ODU took a 1-0 lead with a strike off the crossbar by senior forward Max Wilschrey for his ninth goal of the season. 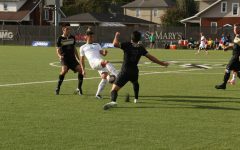 The goal was assisted by freshman forward Daniel Corona. 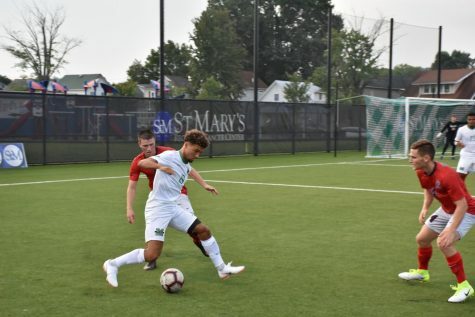 The Herd then equalized the match in the 25th minute with a goal from sophomore forward Jamil Roberts, who stole the ball from the goalkeeper and scored unassisted to tie the game at one. 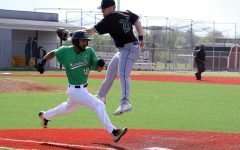 Just two minutes after tying the game, Marshall took a 2-1 lead in the 27th minute with a header into corner of the net by junior defender Illal Osmanu. Midfielder Pedro Dolabella was credited with the assist. The teams combined for 33 total fouls. The Monarchs led in fouls with 17, while the Herd committed 16. Marshall junior defender Carlos Diaz-Salcedo and freshman defenseman Jan-Erik Leinhos received yellow cards in the second half. 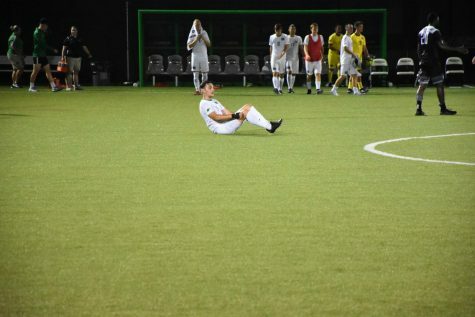 ODU sophomore defender Luke Campbell also received a yellow card. 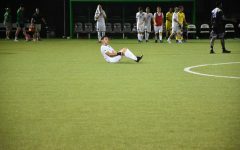 The Monarchs were left with ten players after ODU redshirt junior defender Jimmy Filerman was shown a red card and sent off. Grassie acknowledged the red card changed the game. In the 49th minute, Corona scored his second goal of the season to tie the game 2-2. The goal was scored off a pass from the left from senior midfielder Niko Klosterhalfen, who was credited with an assist. 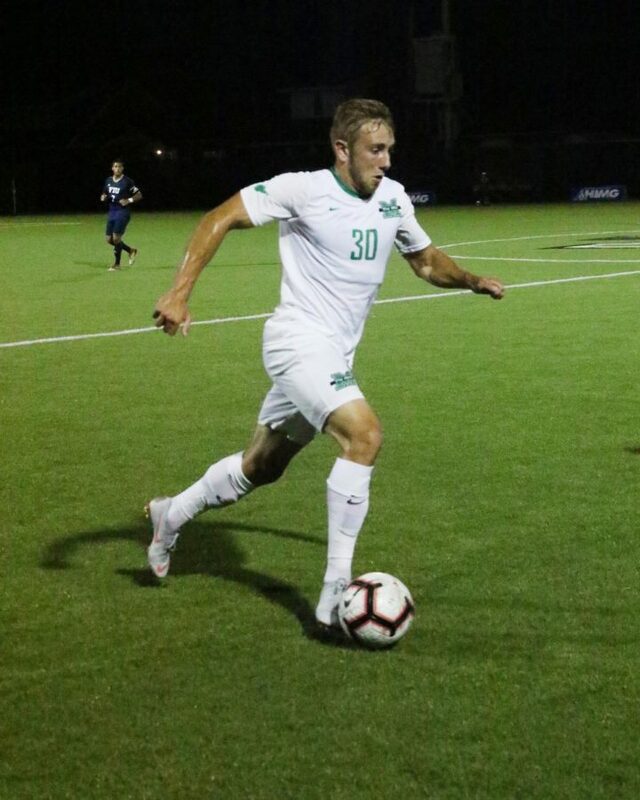 Marshall sophomore midfielder Collin Mocyunas scored his first goal of the season in the 64th minute and the Herd took the lead against the Monarchs, 3-2. 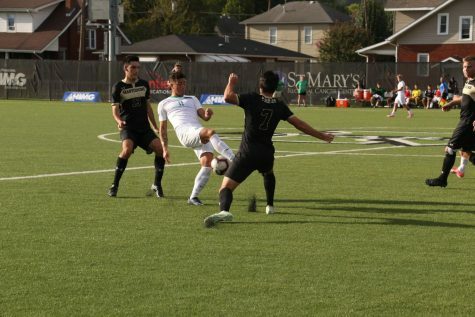 The goal was assisted by freshman forward Gianni Bouzoukis. With one second left in the match, Marshall freshman forward Kelan Swales scored a goal unassisted to seal the win for the Herd. 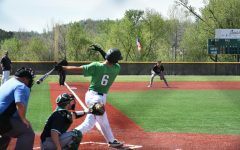 It was the first win for Marshall against the Monarchs since 2015. Marshall took 13 total shots (six on goal), while ODU took 8 shots (three on goal). The Herd’s next match is Wednesday at 7 p.m. at East Tennessee State University in Johnson City, Tennessee.